Also available in Light Blue and Black. On sale at NORDSTROM for $296.25, Intermixonline, Barneys, Rag & Bone. 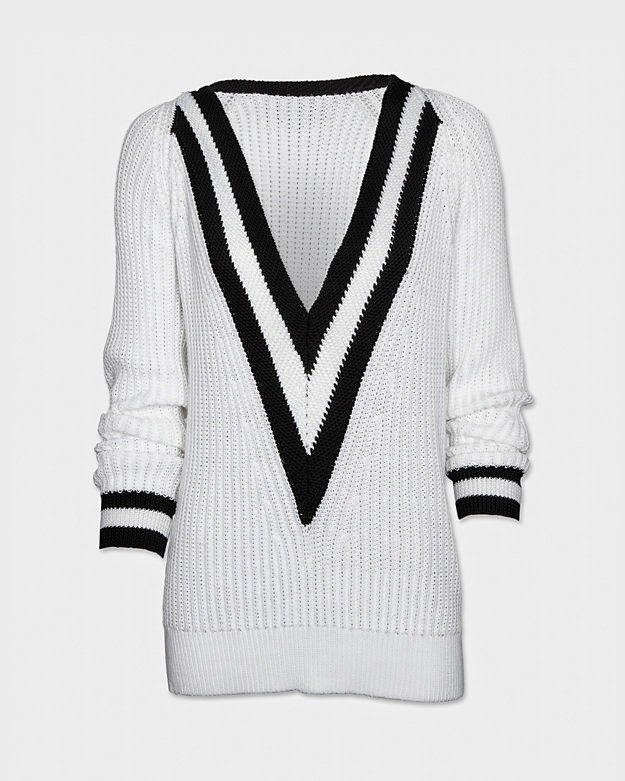 I love this Rag & Bone V-neck sweater. I can totally see myself rocking this with a pair of jeans or black faux leather skinnies and a pair of booties. If you are just as in love and the price tag is not your cup of tea, you can continue to find a steal for $24.80.